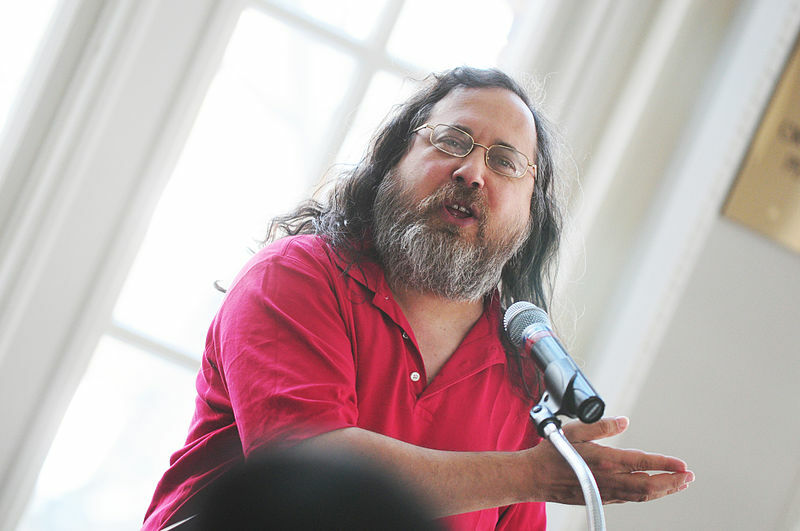 Richard Stallman came to talk with us on the 26th June 2012, about his view of Digital Inclusion; and that it is not always good. This seems especially the case if the software you are using is proprietary, on a device, or SaaS. You can make your own decision as I audio recorded the talk (in ogg – as per his request). While it’s 1h18m long, I transcribed just the first 10m in an attempt to see if any volunteers thought it important enough to transcribe the rest in 10m chunks. Stallman thinks that activities directed at ‘including’ more people in the use of digital technology are predicated on the assumption that such inclusion is invariably a good thing. It appears so, when judged solely by immediate practical convenience. However, if we also judge in terms of human rights, whether digital inclusion is good or bad depends on what kind of digital world we are to be included in. If we wish to work towards digital inclusion as a goal, it behoves us to make sure it is the good kind. You can listen to the full audio recording of ‘What Makes Digital Inclusion Good or Bad?‘ as a .ogg audio file. In this case I’ve transcribed the first 10 minutes of the talk. If you’d like to help transcribe the rest then please donate some time and mail the transcription to me (I’ll credit and link to you, as I’ve done to myself – bazaarly recursively). Dr. Richard Stallman launched the free software movement in 1983 and started the development of the GNU operating system in 1984. GNU is free software: everyone has the freedom to copy it and redistribute it, with or without changes. The GNU/Linux system, basically the GNU operating system with Linux added, is used on tens of millions of computers today. Stallman has received the ACM Grace Hopper Award, a MacArthur Foundation fellowship, the Electronic Frontier Foundation’s Pioneer Award, and the Takeda Award for Social/Economic Betterment, as well as several honorary doctorates.